The Best Detox to Wake Up Your Body! If you are trying to lose weight, you may be having difficulty due to impaired liver detoxification pathways. The liver is the main organ of the body responsible for filtering our blood of toxins and wastes and also supports metabolism. Doing a detox cleanse prior to starting a weight loss program will improve your weight loss success. We are all exposed to a number of toxins in our environment such as air pollution, pesticides, and microbes. But did you know that even if you eat a “balanced diet”, you may still have a high level of inflammation in your body? Chronic emotional stress and overconsumption of carbohydrates are large culprits of inflammation that we may be exposed to on a daily basis. In the United States, most people follow a Standard American Diet (SAD) that is high in simple carbohydrates and saturated fats. This, consequently, has an effect on liver function. To improve your detoxification pathways and boost metabolic health, you must support liver health. Many antioxidant chemical reactions occur in the liver to prevent overproduction of harmful reactive oxygen species (ROS). Research shows that excessive ROS generation results in chronic inflammation, inflammatory tissue damage, organ failure and the development of a number of chronic inflammatory diseases. How do we support liver health? An anti-inflammatory diet that is high in fiber to assist in binding and elimination of toxins. Digestive support to allow for proper recycling of metabolic wastes. Adequate fluid intake to support kidney health and improve elimination of toxins in the urine. Supplement with vitamins and minerals to boost the immune system. 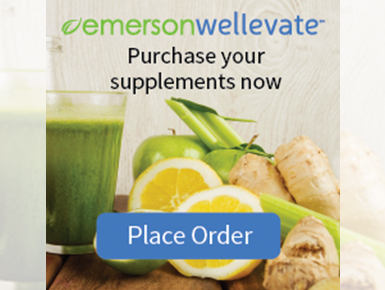 Support cellular health of liver tissue with hepatoprotective herbs to improve function. Reduce inflammation in the body and decrease your pain symptoms. Improved digestion and proper absorption of nutrients from your food and supplements. Reset your metabolism and boost your energy! Weight loss and be able to lose weight more effectively following the cleanse. Contact us at The Aesthetic & Wellness Center and our medically-trained professionals will help you improve your liver function and its detoxification pathways and boost your metabolism. Give us a call today at (941) 749-0741 and identify the root cause of your inflammation or slow metabolism.